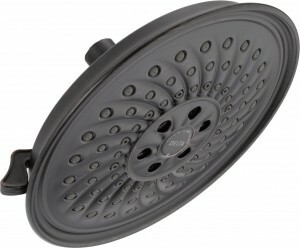 H2Okinetic three-setting (pause, full body, H20kinetic) Rain can Showerhead with Touch-Clean technology for easy cleaning. Pause, Full Body Spray, H2Okinetic Spray. Faucet and Finish Lifetime Limited Warranty.